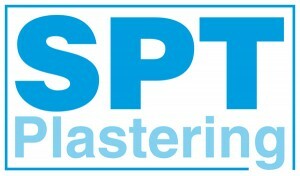 SPT plastering is run by myself, Simon. I am a one man band company, with just myself on the tools This means I have no overheads, so I am able to keep the cost down for my clients, but if needs be I can lay my hands on quality plasterers who share the same skill and passion for the job as me. I have 11 years experience in all aspects of the plastering trade, and started learning the art of plastering on weekends with my uncle and brother. By the time I was ready to leave school I was already pretty handy with the trowel and had some experience behind me, so I went on to do my apprenticeship and work with various other plasterers gaining more experience and learning my trade on housing sites and various big commercial jobs, as well as doing the odd domestic and private jobs. In January last year I decided to set up on my own due to a decrease in site work, so that’s when SPT Plastering started. I wanted to focus more on the domestic/private sector and only do the odd commercial job. What makes me different from most companies? Well, I actually enjoy what I do and love plastering, so you can be sure to get a top job. I turn up when I say I will, I’m clean and tidy and I leave your property better than I found it. I’m presentable, very reliable, and best of all polite and friendly. So now you know a bit about me, feel free to use me for your plastering needs.